Cyber crime is a growing threat in this era of digitalization. 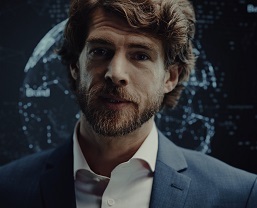 In the video below, an innovative growth company falls victim to a targeted cyber attack, being only a step away from losing everything. The company in this cyber crime case was working on a prototype that could stop global warming. Think about losing an invention like that just before the product is ready to hit the market. You would lose years of work – and possibly millions. Not every company has something this magnificent to protect. But assuming your company is not an interesting target for cyber crime is dangerous. Intellectual property, patents, business plans, prototypes, inventions, trade secrets, production plans, payment data, designs, recipes, customer data, even your supplier and partner relationships can be of interest to criminal hackers. All companies have these assets. And luckily, most companies have cyber security controls in place. The problem is, most companies are not prepared to detect and respond to targeted cyber attacks. In targeted attacks, it is common that an attacker can stay undetected in the network for a long time. The target company in this ICS attack (ICS = Industrial Control Systems) figured out they have an intruder more than three months after the initial intrusion. Visibility to the infrastructure would have made a major difference. Good detection and response solutions can cut the time of noticing an attack to minutes. Early detection can help you avoid a full-scale data breach. 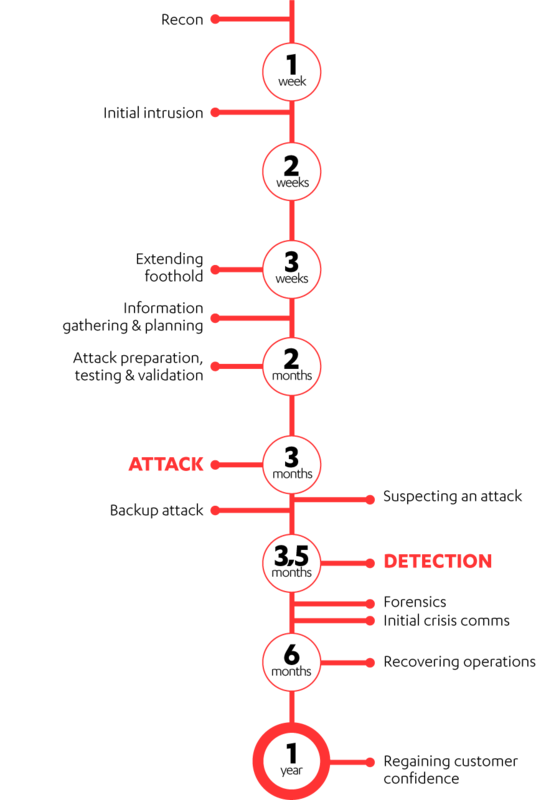 Timeline of the ICS attack in our case example. The attacker’s actions are on the left side, the defender’s on the right side. Find out how prepared you are for a cyber attack.